The great majority of Americans love chocolate. 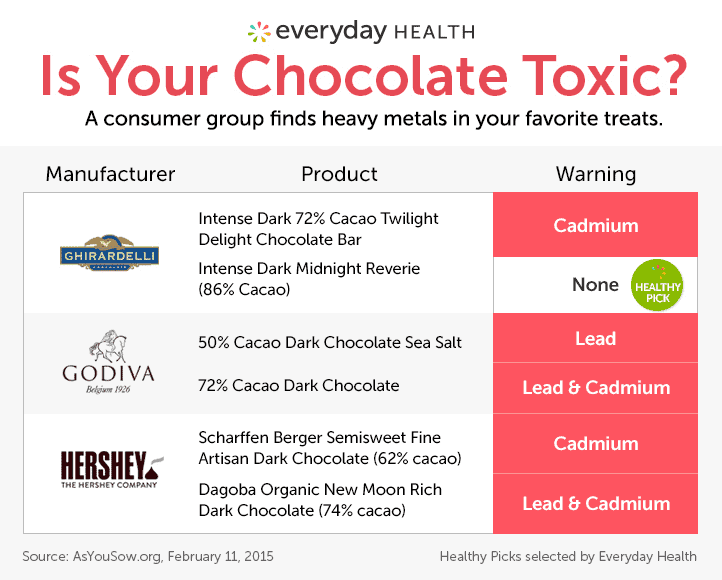 But chocolate containing lead and cadmium; well this adds a whole new light on the subject. 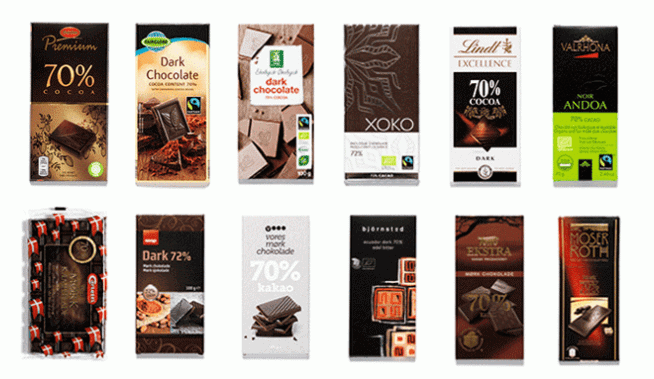 According to the non profit group ‘As You Sow’ who has conducted independent laboratory testing of over 120 chocolate products for lead and cadmium. 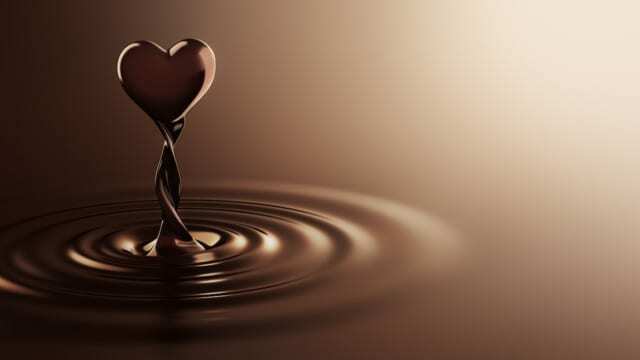 They found 96 out of 127 chocolate products containing lead and/or cadmium above the safe harbor threshold of California’s Safe Drinking Water and Toxic Enforcement Act of 1986 (Proposition 65). 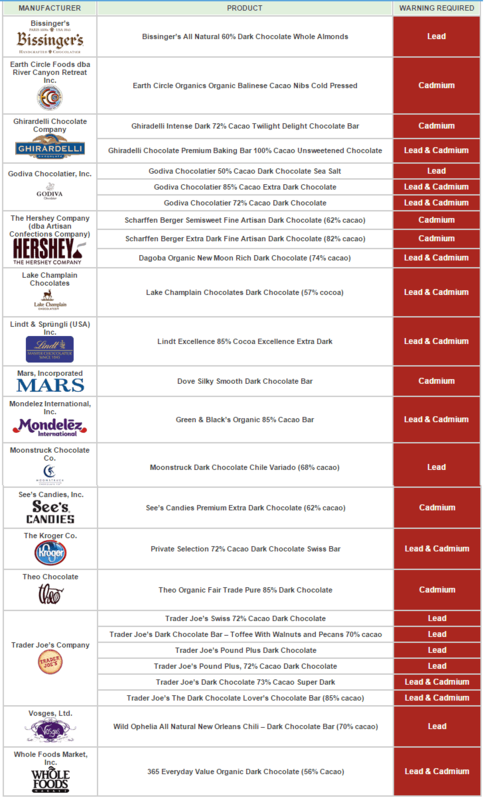 Based on these results, they filed notices with over 20 companies, including Traders Joe’s, Hershey’s, Mondelez, Lindt, Whole Foods, Kroger, Godiva, See’s Candies, Mars, Theo Chocolate, Equal Exchange, Ghirardelli, and Chocolove, for failing to provide the legally required warning to consumers that their chocolate products contain cadmium or lead, or both. No level of lead is safe for children. For decades, lead exposure has been a significant public health risk. Lead is associated with a variety of neurological problems, including learning disabilities, seizures and lower IQ. Including babies in the womb. “Food and drinking-water Cadmium contained in soil and water can be taken up by certain crops and aquatic organisms and accumulate in the food-chain. 4 Food constitutes the main environmental source of cadmium for non-smokers. Highest cadmium levels are found in the kidney and liver of mammals fed with cadmium-rich diets and in certain species of oysters, scallops, mussels and crustaceans. Lower cadmium concentrations are found in vegetables, cereals and starchy roots. Owing to the larger consumption of such food items, they represent the greater part of daily cadmium intake in most populations.2,5 Some crops, such as rice, can accumulate high concentrations of cadmium if grown on cadmium-polluted soil. Acidification of cadmium containing soils may increase the cadmium concentrations in crops.